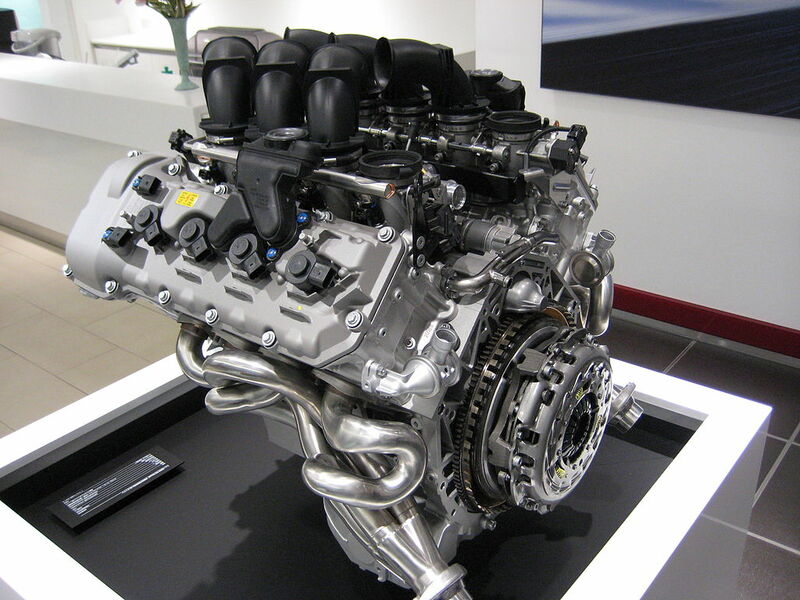 Home Science & Technology Are We Seeing The Death Of The V8? Are We Seeing The Death Of The V8? Over 60 years ago, Chevrolet began production for the first ever small-block V8 engine, kick-starting what would become an American love affair that would last for generations. Since its debut, the small-block V8 has remained in production, making it the longest mass-produced car engine in history. Despite its decades of popularity and innovation, a lot of auto manufacturers are drawing away from the classic American powerhouse in the face of fuel efficiency regulations. During the Obama administration, the federal government came to an agreement with large automakers to raise the industry’s fuel efficiency standard to 54.4 miles by the year 2025. Now, a mere eight years to the deadline, car companies are being forced to start adopting alternative energy and smaller, more efficient engines. The results have been pretty bleak for any car-nuts. The Ford F-150, which ranks among the best-selling vehicles of all time, has recently dropped the V8 engine, substituting it for a more efficient and powerful engine in the form of the EcoBoost V6. General motors have ditched their V8-powered Chevrolet SS from their fleet, which had also enjoyed a lot of popularity in previous years. Even the hallowed Ford GT has come back to the road with a 3.5-litre EcoBoost V6, although this hasn’t made much of a dent in its horsepower. Although more efficient exhaust systems from companies like Borla are still fairly popular among people who modify their own cars, we’re expected to see more and more fuel-efficient models coming straight out of the factory. Even the most efficient auto manufacturers, some of which don’t have a single V8 in their entire fleet, are beginning to feel the sting of federal fuel economy standards. Mazda, for example, leads the way when it comes to efficiency, averaging out at 30.7 miles to the gallon. Honda comes in second, rated with an average of 28.7 miles to the gallon. The bottom of the barrel in terms of fuel efficiency includes those that have decided to make do with larger engines, namely well-known American badges. Despite new engines throughout the fleet, Fiat Chrysler, which now owns Jeep and Dodge, has a mere average of 22.2 miles to the gallon across their entire line-up. Ford comes in second worst, with just 23.4 miles to the gallon. General Motors have followed through with a comeback of the Canyon and Colorado mid-sized pickups, which average at just 24 miles per gallon. Trying desperately to comply with the looming federal regulations, a lot of automakers are making major cuts. Having said that, progress seems to be pretty slow. Mazda has introduced GDI technology in various cars in its fleet. German giants such as Volkswagen, BMW and Mercedes have all turned to turbocharging instead. Some companies, including Ford, Chrysler, and Honda, have begun to add cylinder deactivation to emerging models. Despite these steps, the auto industry as a whole doesn’t seem to be on-schedule to meet with the standards the EPA set out during the Obama administration. As Trump tries to roll these back and the green lobby keeps growing, the future is very uncertain.